And then there was two. The Major League Baseball season is long. Very long. 162 games, to be exact. Now, finally, the playoffs have whittled the remaining field down to a final two, and all that remains is the World Series. This column would contend that there are no better teams suited for this World Series than the Detroit Tigers and the San Francisco Giants. The two teams are both great examples of exactly what a ‘team’ is, at least in Major League baseball terms. Much more costly, extravagant and indeed fancied teams have all been cast by the wayside on route to the final. The Yankees? Gone, along with their ridiculous $220 million a year in salaries. Texas? Gone, their big sluggers couldn’t bash their way through the playoffs. Detroit and San Francisco are arguably the most complete teams in baseball in their respective conferences. San Francisco play great defence, have some shut-down type starting pitchers, a great bullpen, and can play small-ball when they want to, or bang home-runs when they have to. The Tigers? Detroit have a couple of the best pitchers in the game right now, and a fear-some middle of their order unlike almost any other in baseball. Two truly great teams, very worthy of their slot in the finals. The Giants are jam packed with high-character players. Marco Scutaro, a player that the Boston Red Sox idiotically cast off last season, is having a playoffs for the ages, the baseball must look the size of a large water melon to him right now. Scutaro is a what they call in the English Premier League, a ‘players player’, just a gentleman and a true professional. It is heart-warming to see him succeed at the highest level. The wonderfully named Buster Posey is coming back from a terrible injury last season, playing catcher for the Giants. He is their ‘long ball’ threat and when he makes contact, the ball really jumps off of his bat. The Giants are really defined by their starting pitching, the ‘horses’ who get the ball for (hopefully) six to seven innings from the start of the game. Matt Cain is the calm, cool and collected ace in the pack, while Ryan Vogelsong is striking batters out at a incredible pace. Keep an eye out for popular and humble Tim Lincecum, a young, free spirit, with buckets of talent, trying to bounce back from an average season. The Tigers are bringing some heavy-lumber to the party. Their batting lineup is big, bad and mean. Their fulcrum is the fearsome duo of Miguel Cabrera and Prince Fielder. Cabrera is fresh of winning a rare ‘Triple Crown’ which means he topped the MLB charts in runs batted in, home runs, and batting average. A truly Herculean feat. His running mate, his partner in crime is the affable Prince Fielder, a huge man who bashes home runs like you and I swat flies. Detroit also bring arguably the single most dominant pitcher on the planet right now. 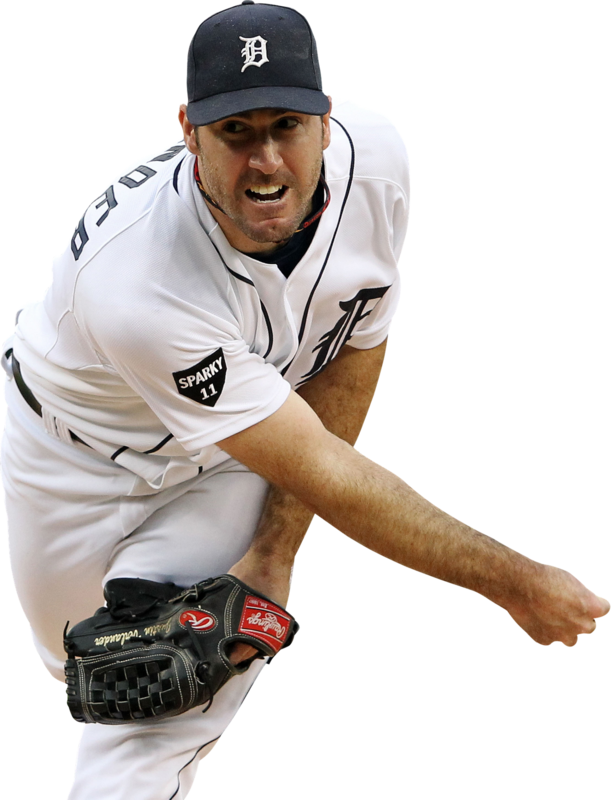 Justin Verlander is on top of his trade. He can touch triple figures on the radar gun, and his curve ball can make a batter question his very existence. He is a ferocious competitor, and really ‘gets’ what it means to be the ace, the figure head of the Tigers. That final aspect touches on perhaps the best part of this World Series. It was really pathetic watching the Yankees play their home playoff games, as Detroit put them to the sword. The disgustingly priced $2000 plus seats behind home plate were only half full, and Yankee stadium itself was basically only three quarters full. Worse yet, the Yankee fans jeered their team more than they cheered them. It was ugly. No such problems in this Series, you can bet. These two teams really mean something to and in their respective communities. Their fans really love their teams, both playing in front of adoring, packed houses on a nightly basis. The Giants stadium is really a sight to see, arching high into the San Francisco night sky, with a swaying, colourful crowd jammed into every available seat. The Tigers, meanwhile, perhaps mean even more to their City (and that’s saying something). Detroit and Michigan has had a tough few years, and the Tigers do an incredible job giving their City and State something to be proud of, and something to cheer for. You can really feel the connection between the team and its fans every time they play ball. Who’s going to win? It is a very tough call. Each game should be closely contested. San Francisco have some fabulous players and characters, and Marco Scutaro is a man on a mission right now. However, you simply can’t ignore two men in particular for the Tigers. Miguel Cabrera and Justin Verlander are once-in-a-lifetime type talents, and for me, they will swing the series towards Detroit. Playoff baseball is a beautiful thing. Elegant, electric and to those that love it edifying, do yourself a favour, catch a few of the games, even if it means going into work a little late the next day!